Our semi-annual newsletter is out! Click here to be added to the email distribution list. Results from the 2018 Community Wellbeing Survey are in! 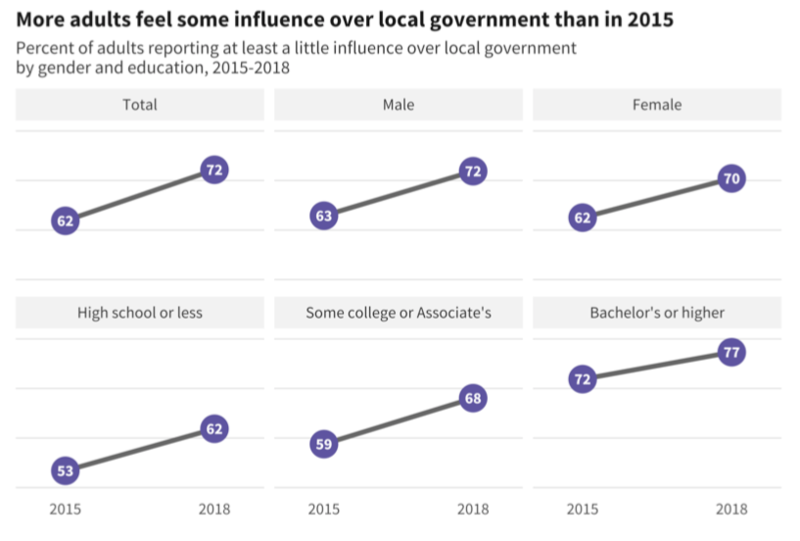 More adults feel some influence over local government than in 2015. 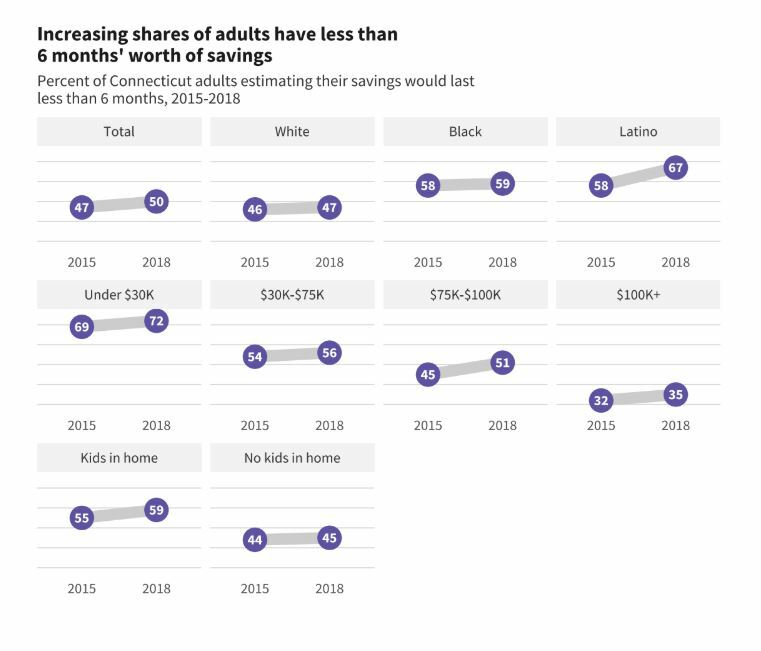 Increasing shares of adults have less than 6 months' worth of savings. Downloading the full 2018 statewide crosstabs (http://ctdatahaven.org/data-resources/2018-connecticut-statewide-data-cr...) , based on live, in-depth interviews with over 16,000 randomly-selected Connecticut adults in every Connecticut town. The crosstabs feature graphs of selected survey trends between 2015 and 2018. Reading about the addition of discrimination questions (https://ctmirror.org/2019/01/02/discrimination-questions-add-new-depth-w...) to the 2018 survey (featured in CT Mirror). Staying up to date with survey-related data and news on our web page (http://ctdatahaven.org/reports/datahaven-community-wellbeing-survey#2018...) . 2019 Community Index Reports are on the way! We're currently analyzing results from the Community Wellbeing Survey as well as data from hundreds of other sources to develop regional reports for Fairfield County, Greater Hartford, Greater New Haven, the Lower Naugatuck Valley, and other regions of Connecticut. Reports will be released during the summer of 2019. Past reports are posted on our site. Read the full article in the New Haven Independent (https://www.newhavenindependent.org/index.php/archives/entry/elm_city_pr...) and stay tuned for updates on how we'll be helping to ensure a complete count. 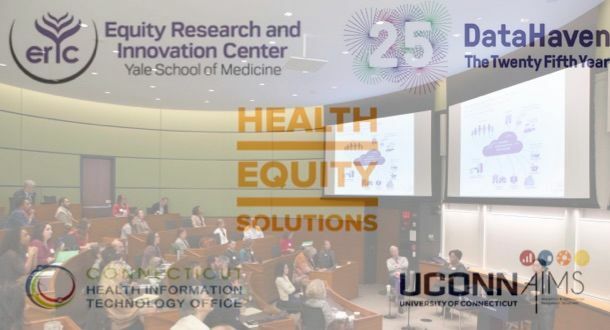 Health Equity Data Analytics: In conjunction with Health Equity Solutions, Yale Equity Research and Innovation Center, Connecticut's Health Information Technology Office, and UConn AIMS, DataHaven is working to evaluate health equity issues and data to inform Connecticut's forthcoming statewide Health Information Exchange. 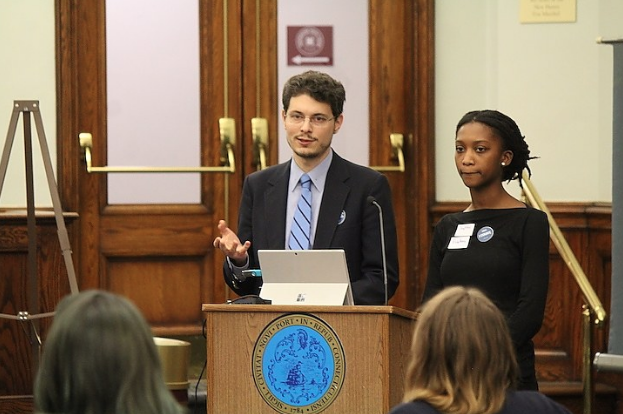 Statewide Health Equity Report: With the support of the Connecticut Health Foundation, DataHaven will utilize detailed, local-level data on the health and well-being of Connecticut residents to develop a statewide report on health equity indicators. Fairfield County's Community Foundation Fund for Women & Girls Needs Assessment: DataHaven has partnered with the FCCF Fund for Women & Girls to develop a needs assessment that will act as a platform to increase opportunity, access, and equity for women and girls in Fairfield County. Thank you for the support and insight you provided us during 2018! Interested in learning more about DataHaven's history and work? Read our recently-released 25th Anniversary Report (http://ctdatahaven.org/reports/datahaven-25th-anniversary-report) !